I decided for the new year to make a simple resolution, or at least one that seems simple: Try a new recipe or item each week. So this could be buying a food I’ve never eaten or ordering something I wouldn’t normally eat from a menu and of course making a new recipe from one of my many cookbooks and magazines. I thought this seemed simple until I went to fix lunch today! As I scanned through a couple of cookbooks I realized I am missing ingredients from every recipe! 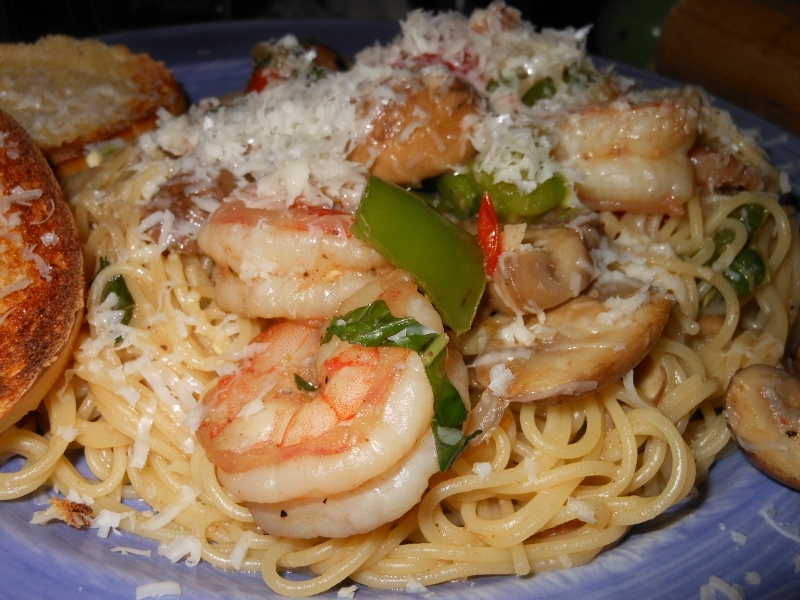 No canned green chili peppers, no tomato sauce, no fresh mushrooms…. you get the idea. I’ve got a jar of jalapeno in the fridge, spaghetti sauce, canned tomatoes, and a can of mushrooms so I could have easily changed any one of the recipes I came across but that sort of defeated my resolution to try a new recipe! So lunch became one of our favorites; black bean and beef soft tacos with no recipe of course. 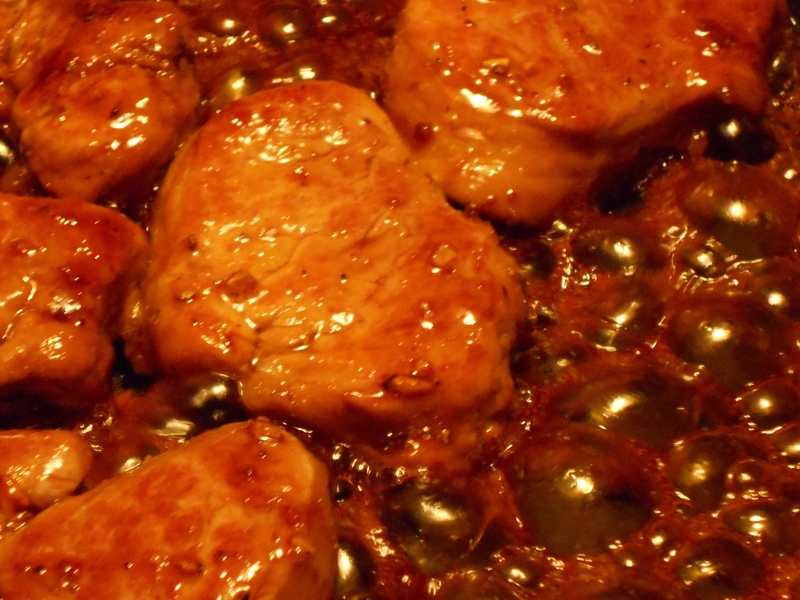 With any luck I can find a fantastic recipe for tuna steaks for dinner since this week is almost over! Let the challenge begin. I know it sounds crazy but I just couldn’t resist pairing two of my favorite foods. It was amazing! 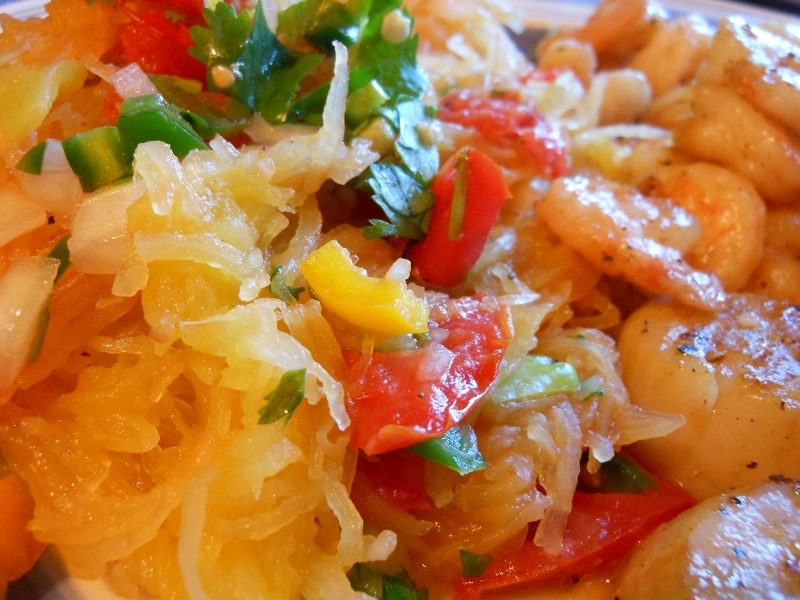 If you haven’t read about this in my earlier posts the best way to prepare a spaghetti squash is to bake it whole. Pierce it a couple of times with a fork or knife and bake at 350 degrees for about 45 minutes to an hour. Do this ahead of time; a day in advance, an hour in advance or whatever works for your time schedule. Once cool enough to handle cut in half, remove seeds and then using a fork fluff the “spaghetti” out of the shell. So on to the recipe. In a large skillet heat up a bit of olive oil or butter. Saute squash about 5 minutes to heat through. 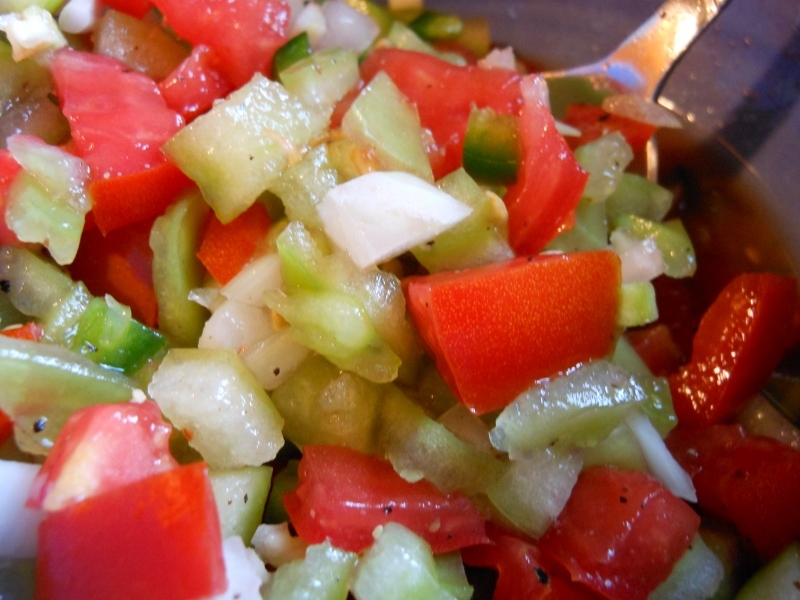 Toss with your favorite homemade salsa. I used a simple tomato, onion, jalapeno, cilantro and lime juice version but you can use something like the salsa fresco recipe, the tomatillo salsa recipe or my roasted jalapeno salsa recipe. If you need some ideas ~ Just click on the kind of salsa you’d like to try for a quick link to the recipe. I decided for breakfast a soft-cooked egg sounded delicious. I haven’t made one in years; well come to think of it I don’t think I have ever made one. All the articles I read made it sound simple. 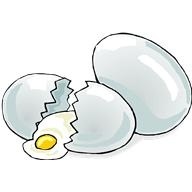 Bring the water to a boil and submerge the egg; cook exactly 3 minutes, drain and cover with cool water to stop the cooking. Some recipes said 2 1/2 – 3 1/2 minutes for soft; 5 1/2 – 6 1/2 for medium. Another suggestion I read was to bring the egg to room temperature first; but the practicality of warming up an egg first thing in the morning as you are getting ready for the day isn’t really feasible. So, straight from the carton to the gently boiling water I went; I opted for 4 minutes to ensure the whites were cooked. I wish I’d taken pictures before throwing them away because not only were the whites still quite runny but the shells stuck like crazy! Would salt or vinegar in the water have helped? I will have to research this a bit further although poaching seems much more appealing to me right now! I must say my fried eggs were quite tasty for breakfast; maybe not what I intended but if I don’t tell my husband he’ll still think I am an amazingly perfect cook! … let’s just hope he isn’t counting the eggs! I promised my sister, Chris, I would post this months ago. It is my favorite breakfast although it would make a great snack any time of day. I sometimes switch up the fruit depending on what I have on hand but no matter what combination of fruit I use it makes for a great way to start the day. I think the combination of strawberries and blueberries are may favorite by far but don’t be afraid to experiment. 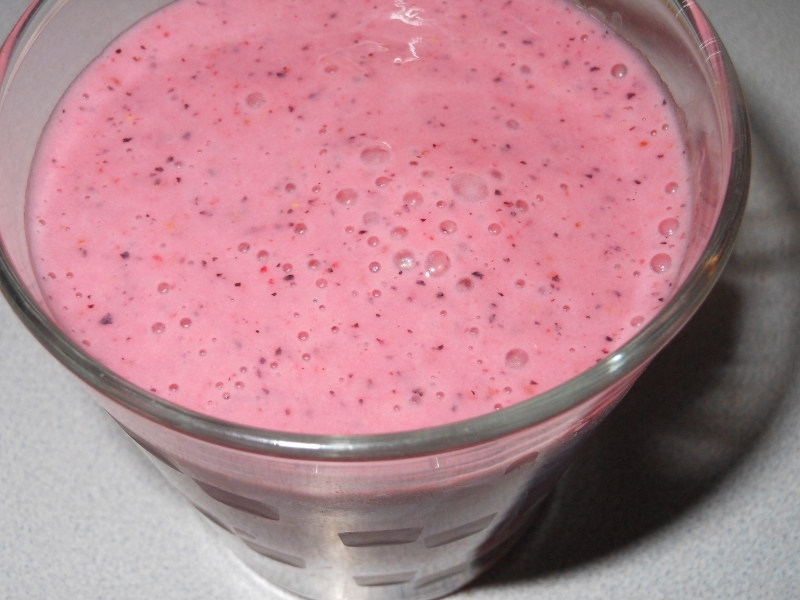 I like to put the strawberries, blueberries, juice and ice in the blender first and blend until ice is completely chopped. Then add the banana and yogurt and mix well. Makes two awesome smoothies; and if you only need one you can always freeze the extra into popsicles for later! Don’t hesitate to experiment; pears, peaches, oranges, and cherries all work great too ~ you can add as many fruits as you like! 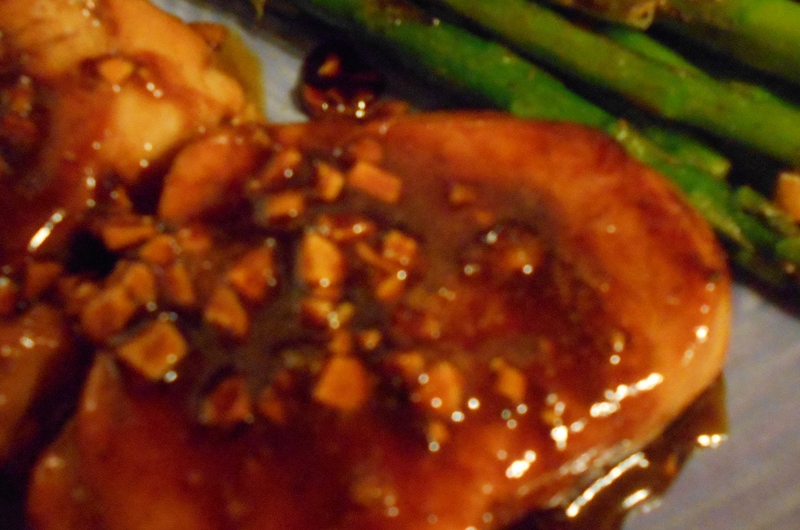 I decided to give a light version of Chicken Marsala a try. Over all it came out pretty well; not perhaps as rich as the versions with butter but still quite tasty indeed. I made enough for just the two of us and only counted for 4 1/2 points on my weight watchers program! In medium skillet heat olive oil and saute mushrooms about 5 minutes. 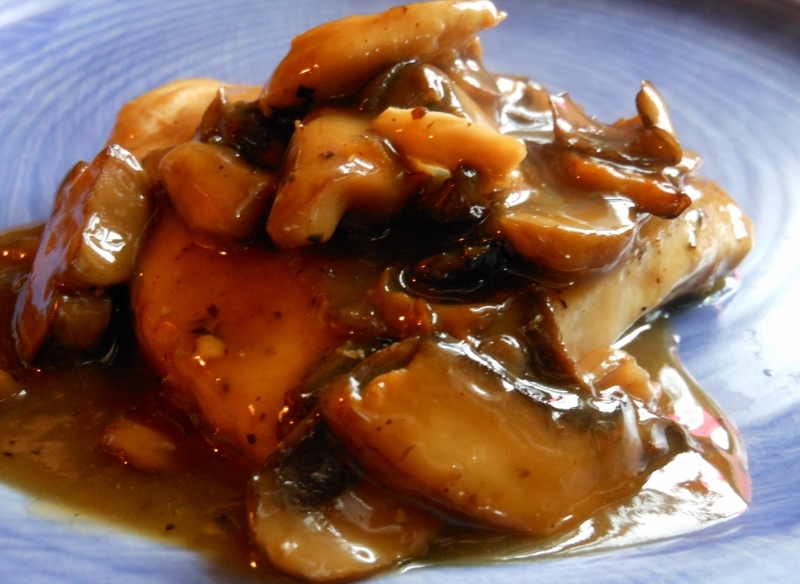 Push mushrooms to side and add chicken breasts, sprinkle with thyme, salt and pepper and cook for about 3 minutes each side or until browned. Add Marsala and chicken stock. 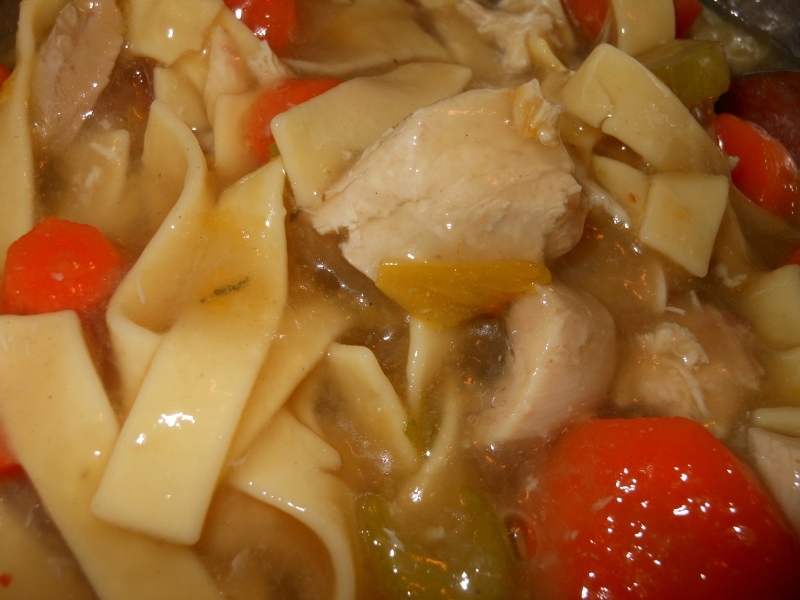 Bring to a simmer and cook about 5 more minutes or until chicken is cooked through. Combine cold water and cornstarch in small bowl. Add to simmering broth; stir until thickened. I haven’t posted in quite some time and I’ve promised a few of you I would get back to it. I’ve gotten in to several new projects that are taking so much of my time that I haven’t really taken time to create any new recipes lately. I have a tendency to throw things together without keeping track of what I am doing so I need to get back in the habit of keeping track of these things. 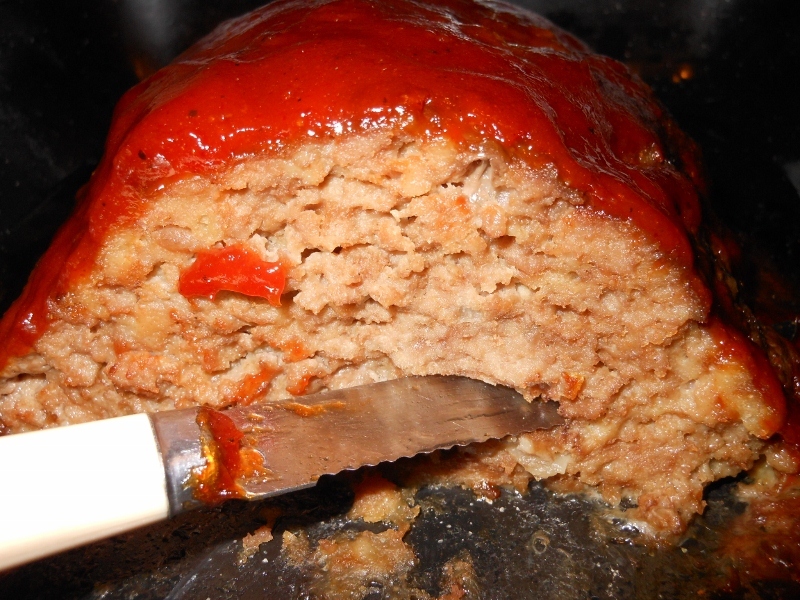 So without further ado I will post a simple meatloaf recipe I made the other day. This is another from the family cookbook. My sister Pam gets the credit for this one! Combine all ingredients and shape into a loaf. Bake 1 1/2 hours at 350 degrees. If desired top with ketchup or bbq sauce the last 30 minutes of baking. I used a mix of ketchup, mustard, and brown sugar. When we were kids we always used open-pit bbq sauce so go with the flavor you like. Sometimes I will just use straight ketchup too.